On March 22, 2016, UNHRC president Choi Kyong-lim (S. Korea) sent a letter to all 47-member states at the United Nations Human Rights Council (UNHRC) recommending professor Stanley Michael Lynk (Western University, London, Ontario) as the new special rapporteur for the Palestinian Territories (Gaza, West Bank and East Jerusalem) effective March 31. He will succeed Indonesian envoy Makarium Wibisono who quit the post in January 2016 blaming the Zionist regime of interfering in his work and demonizing him. Wibisono’s predecessor, American Jewish academic Richard Falk, was targeted for six years by the Organized Jewry including HRW and UN Watch. 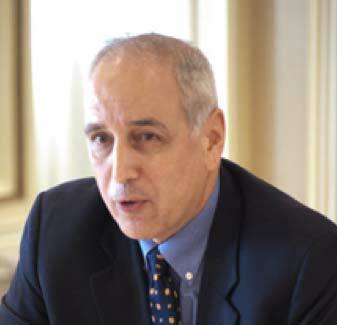 Michael Lynk and the leading candidate for the position, Jewish professor Penny Green (Queen Mary University, London), were both declared anti-Israel by the Geneva-based UN Watch Jewish group. On March 16, the Winnipeg Jewish Review published an Open Letter to Canada’s prime minister Justin Trudeau demanding that he disqualify both candidates for their criticism of the Zionist regime. The joke is Canada is not a member of UNHRC, but Saudi Arabia is. A Jewish group from Harper’s Tories asked Justin Trudeau to immediate take action on complaint in the said open letter and asked Ottawa to follow orders from the Jewish Lobby. It was so threatening that country’s foreign minister Stephane Dion called upon UNHRC to review the appointment of professor Michael Lynk as its special rapporteur on human rights in Palestine. On Friday, Ronald S. Lauder, president World Jewish Congress slammed UNHRC for the appointment of Michael Lynk. “It’s entirely predictable, but regrettable move which further undermines the council’s credibility, which is close to zero,” he said. Incidentally, on Thursday, the Geneva-based council voted to create a database of all Israeli and international firms operating directly or indirectly in the West Bank, East Jerusalem and the Golan Heights. The resolution was tabled by Pakistan with 32 votes in favor, none against, and 15, pro-USrael countries abstaining. Danny Danon, the Israeli ambassador to the UN, said the database was a blacklist accusing the UN body of behaving “obsessively” against Tel Aviv. Benjamin Netanyahu also issued a statement on Thursday evening, calling UNHRC an anti-Israel circus. US Ambassador to the UN Keith Harper described the resolution as especially disturbing – adding it only serves to reinforce the council’s one-sided actions against Israel. Ibrahim Khreisheh, Palestinian envoy to the UNHRC, called the vote a message of hope for our people. Dr. Stanley Michael Lynk is internationally renowned law professor, who had written critical views on human rights abuses in Palestine (here).
. But we all know that criticizing West’s Holy Cow of Human right abuses, is an unforgiveable sin. “Whether Lynk on the job is as vocal a critic of Israeli policies as Falk and Wibisono remains to be seen,” Steve Lendman, American Jewish writer, author and radio talk-show host wrote on March 24.